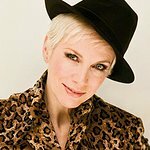 Singer Annie Lennox has responded to an open letter published in the Jerusalem Post that has accused her of being anti-Israel in her recent peace protests over the current violence in Gaza. “In my mind, the only distinction that matters right now, as Palestinian and Israeli lives are being lost and endangered by this violent conflict, is whether you support war or peace. I join hands with other humanitarians who support peace. “I work for peace so that children on both sides of the Gaza-Israel border can be free from rocket and missile attacks. I hope for peace so that these children can know one another, learn from one another, appreciate each other, and maybe, some day in the future, love each other. “From my perspective, peace and security come with dialogue, not bullets and bombs, and therefore I make no apology for being a leading member of the voice of reason, in opposition to this senseless war. My position is supported by a cross-spectrum of communities in Britain, including my Jewish and Israeli friends. “I too have friends and family in Israel, and want to see them safe and secure, in the same way that I want human rights protection for the citizens of Gaza. I am not opposed to Israel, and I do not support Palestinians. I support an end to the war on Gaza. The original open letter can be read here, and Lennox’s unabridged reply can be read here.